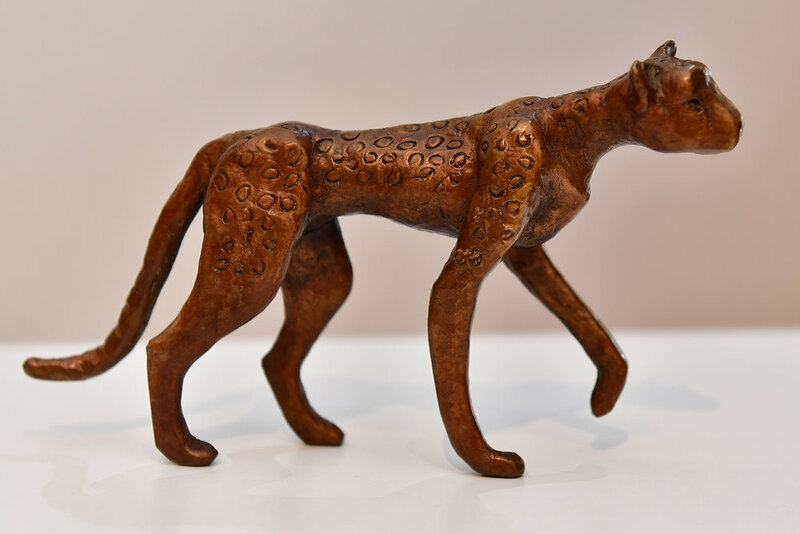 Bronze Cheetah Sculpture - "Duma"
A cheetah cast in bronze. Approx 23 cm long and 15 cm tall. For sale with all proceeds to going to Cheetah Conservation Botswana through AW.